LG G6, one of the most talked about high-end smartphone is now available at Globe's postpaid plans. Consumers may enjoy it at Plan 1499 + 600 cash every month. A total of just PHP 2,099 per month. LG G6 Globe Plan 1499! As a quick recap, the LG G6 is the first HDR10 ready flagship smartphone in the world. It's equipped with a small body with a big screen. How? LG used the magic of slim bezels all-over. 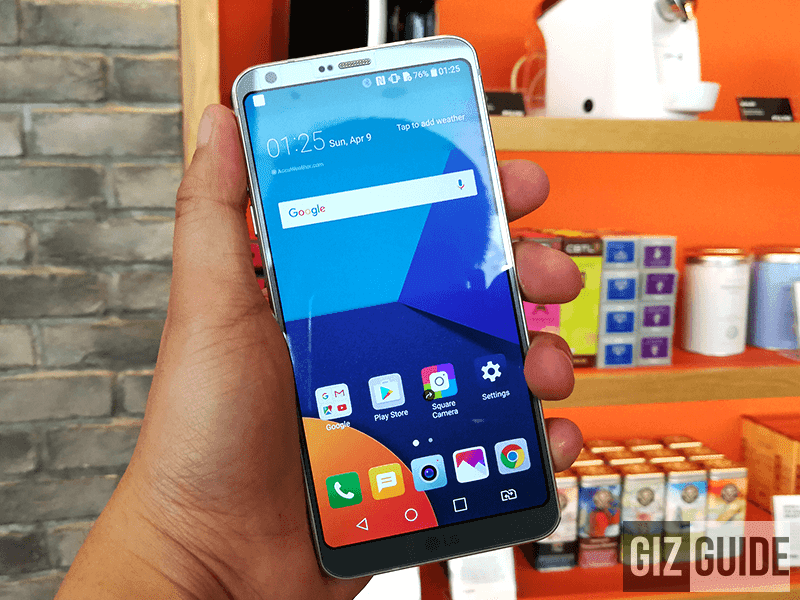 The LG G6 boast a 5.7 Inch QHD+ 2880 x 1440 resolution w/ Gorilla Glass 5 protection at 565 ppi, bigger 3,300 mAh battery, Snapdragon 821 chip, Dual 13 MP main cameras, 5 MP f/2.2 wide angle selfie camera, quad HiFi DAC, and IP68 water and dust resistance. It'll be available in ice platinum, astro black, and mystic white colors. For more info, visit globe.com.ph/lgg6 now!